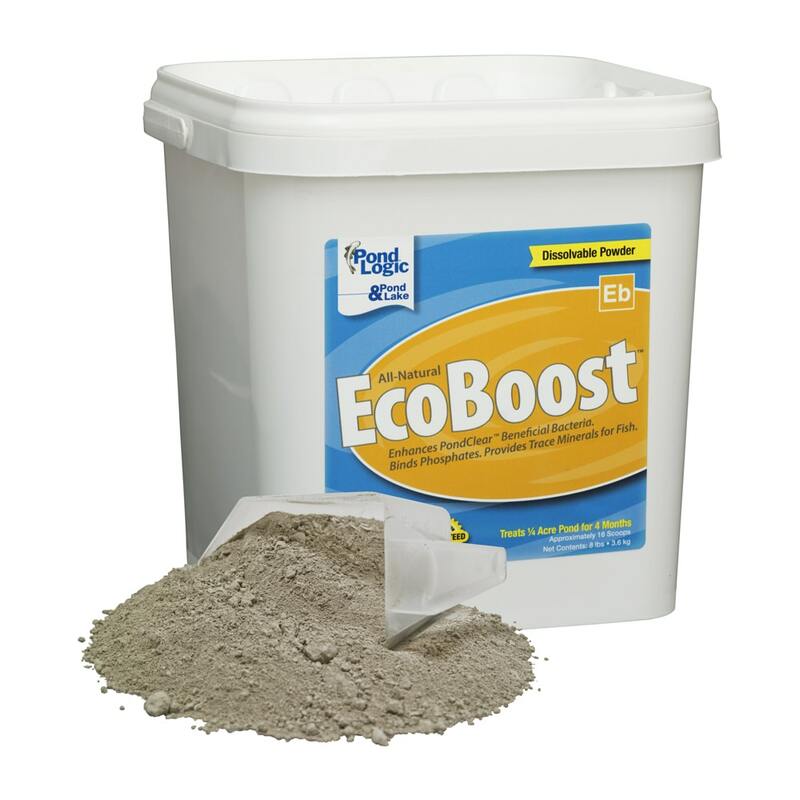 EcoBoost binds suspended organic particulate and locks up excess nutrients to keep your pond water clear and polished all season long. As it is not affected by water temperature, EcoBoost is as effective at assisting beneficial bacteria and improving fish health in the summer as it is in the cooler autumn months. EcoBoost provides more than just enhanced pond clarity. 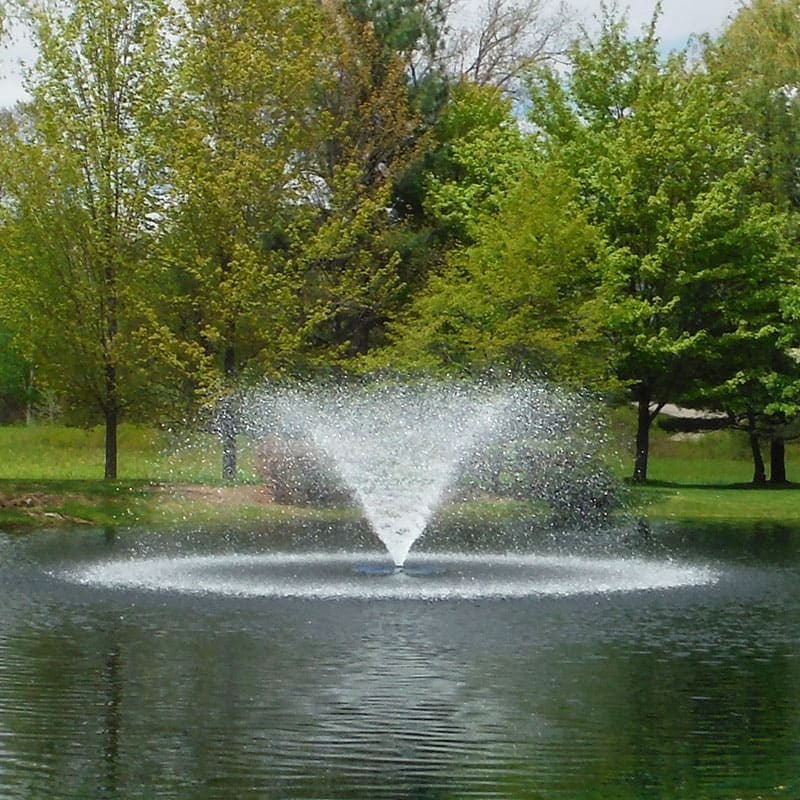 Added trace minerals promote a healthy fish population while enhancing beneficial aerobic bacteria and locking up free nutrients that throw your pond out of balance. EcoBoost can also be used to clear up water cloudiness associated with chemical herbicide/algaecide applications. EcoBoost is delivered as a powerful powder. Dosage rates are based on "scoops" which references the included plastic scoop in every EcoBoost container. EcoBoost is a completely natural product. 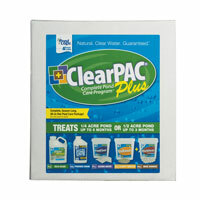 When used in accordance with label directions EcoBoost is completely safe for your fish, plants, pets and pond wildlife. Watch the EcoBoost Product Video. 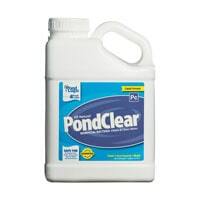 Apply EcoBoost every 2 weeks or at the same time PondClear and MuckAway is applied. Wait 3 days after an algaecide and/or herbicide treatment to apply EcoBoost. 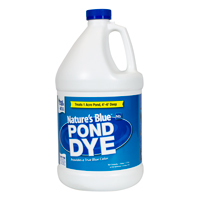 Mix one scoop (included) of bulk powder in a clean pail with 2 - 3 gallons of pond water. If necessary, stir the solution until the water is completely brown. 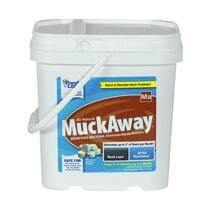 Evenly distribute this mixture by pouring it directly from the pail along the shoreline. EcoBoost may be applied to lakes and ponds used for irrigation and aquaculture. Treated water can be used for recreation, fishing and other activities immediately after treatment. EcoBoost is 100% natural and safe for humans and wildlife. Do not apply to water that will be used for human consumption.